We are heating, plumbing and boiler installation specialists offering our services in and around London. We were founded in 2003 by Simon Love, who has 13 years experience in both commercial and domestic projects. After starting his career working as a bathroom specialist in London, Simon then broadened his offerings at one of the South coasts largest commercial contract companies and now continues to do so throughout London, covering everything from large site contracts to small repairs. We supply mechanical services to main contractors of hi-spec residential and commercial projects, from new-build through to occupied refurbishment. We can also do maintenance checks, fault diagnosis and repairs to all systems. We are dedicated to meeting deadlines and well disciplined when working to schedules, as well as committed to finding the most efficient and practical solutions for each individual application. From design to demonstration and hand-over to the client, Love Heating offers a comprehensive service and we pride ourselves on offering exceptional customer experience. All of our engineers are gas safe registered and we’re proud to be endorsed by Which Trusted Traders, with excellent reviews. In most instances, we will remove and dispose of your old boiler and have a new one up and running the very same day. We also service boilers, carry out repairs and are qualified to issue Gas Safety/Landlord certificates. Simon gave us great advice on which boiler would work best, was really helpful, fast, efficient and solved any problems that came up when he arrived. I genuinely couldn’t recommend him highly enough! My boiler died and Simon said I would be wasting money on repairing as it was so old. He replaced it with a new combi boiler, this involved taking out the old heating system with tanks and immersion that was in the cupboard. He did a really good job in a confined space and freed up an airing cupboard. He is now my plumber of choice in London! We have many years experience installing wet-rooms in all applications. Our market knowledge of tanking (waterproofing) systems ensures that the right system is used for the job. 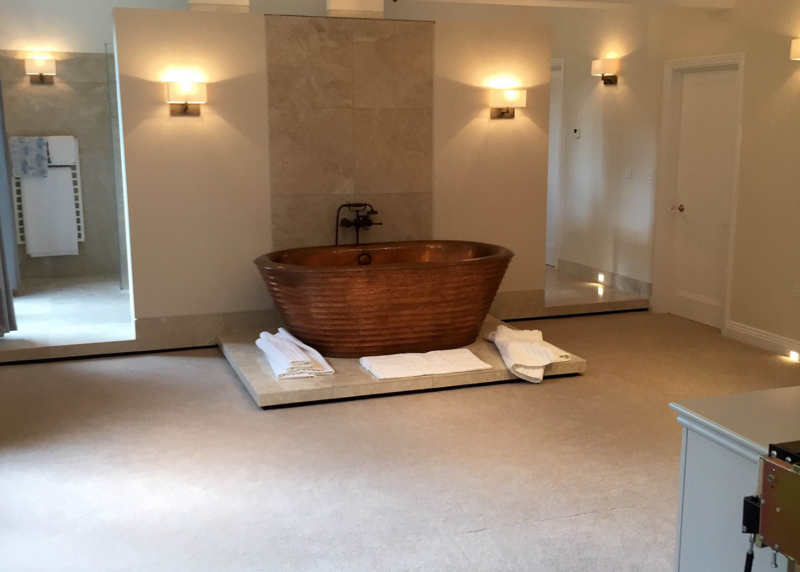 Our more luxurious projects involve working alongside contractors of other specialities, including marble, resulting in a premium, high quality finish! We’re proud to have worked on a large number of new builds and refurbishments for our loyal client base of building contractors and property developers across London.